The Mission of the South Texas Institute for the Arts (the Institute), doing business as the Art Museum of South Texas, is to operate educational facilities and an art museum which advance the awareness, knowledge, appreciation and enjoyment of the visual arts for residents and visitors of South Texas. To meet its educational mission, the Institute will present a variety of programs which include classes, lectures, films, performances and other activities which inspire community interest in the visual arts. These programs will be offered at the Art Museum of South Texas, the Antonio E. Garcia Arts and Education Center, and other outreach venues that serve the Institute’s mission. In operating an art museum, the Institute will actively collect, conserve, exhibit, research and interpret outstanding works of visual art with interest in art of the Americas and of the region. See how two internationally acclaimed architects come together. A unique backdrop for any formal occasion including weddings, receptions, corporate parties or special events. Welcome to the Art Museum of South Texas website! 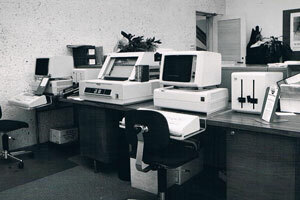 I hope that you will find all the information you need to connect with us online or plan your next visit to the Museum. If you have not visited us before, I hope you will come soon. While exploring the art opportunities, our location is also one of the best places to watch ships come and go since we are on Corpus Christi Bay where the ship channel enters the Port of Corpus Christi. Another great feature of the Museum is our architecture. The building is the most important architectural landmark in the City. It was created by two internationally famous architects. The original 1972 building was designed by New York architect, Philip Johnson, and the 2006 addition was designed by Ricardo Legorreta of Mexico City. There are so many activities, exhibitions and special programs for all ages and interests offered at our Museum. I am sure you will find plenty of opportunities to engage and explore the visual arts in our numerous galleries. The special exhibitions usually change quarterly. The permanent collection installations, focused on “Art of the Americas,” change periodically. In addition to the galleries, we have an amazing Gift Shop where you can find unique items. And Hester’s Café in the Museum is the best place in Corpus Christi to enjoy lunch, Saturday brunch, or a beverage and dessert. For children and those young at heart, the Creation Station features an array of hands-on activities and educational interactives to enjoy. We also welcome your support through joining our membership, participating in one of the special groups, supporting the regular fundraisers, or making a donation. All these opportunities are highlighted on the website. Please let us know if we can help you get to know the Art Museum of South Texas better. I hope to see you at the Museum. Corpus Christi turned over its Centennial Museum to two local art organizations, South Texas Art League and The Corpus Christi Art Guild. A petition was created and approved by the city to turn the building into a Center for the Arts under the Corpus Christi Art Foundation. 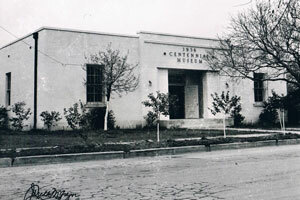 The building is renamed the Centennial Art Museum and there was a large increase in museum activity. 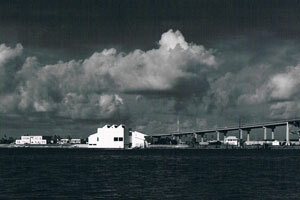 The Art Center of Corpus Christi in South Bluff Park is created at 100 Shoreline, in concurrent with the opening of the Art Museum of South Texas. The opening festival of the Art Museum of South Texas building on Shoreline Drive is held. Several large-scale Modernist works were accepted which easily fit into the museum’s gallery spaces. The Corpus Christi Creative Arts Center and Center for Hispanic Arts merged with the Art Museum under the auspices of the South Texas Institute for the Arts. Art Museum of South Texas in Corpus Christi acquired a major portion of Hood’s estate including her archives and studio contents. A major expansion designed by internationally renowned architect Ricardo Legorreta, doubled the gallery and exhibition space of the Art Museum. The expansion was funded by private sector donations and community support. Art Museum of South Texas engaged Susie Kalil to serve as Guest Curator and Author for the Dorothy Hood Project. The Color of Being/El Color del Ser: DOROTHY HOOD (1918-2000)” the major retrospective exhibition opens at the Art Museum of South Texas, Corpus Christi. Los Tejanos: Chicano Art from the collections of Cheech Marin exhibitions opens.